La Vie en Rose is your destination for elegant lingerie, everyday essentials, lounging looks, great swimwear, cozy sleepwear and accessories, and the perfect gift ideas. We believe that women should feel confident, beautiful and good in their own skin, in all simplicity, from morning to evening. Women: our inspiration. They are the reason why we offer an exceptional choice of quality collections, at affordable prices. Our well-fitted bras are designed to be comfortable and provide real confidence for every day. You will also find that our cozy sleepwear is a must for a peaceful slumber. And if you are looking for a swimsuit, you may have more than one favourite within our wide selection of trendy and classic styles. Discover well-being and comfort at la Vie en Rose. 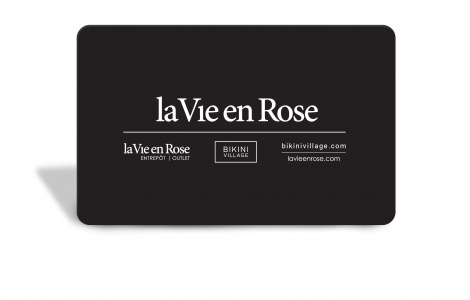 La Vie en Rose gift cards are redeemable at one of the 233 stores operating under the la Vie en Rose and Bikini Village banners in Canada, and online at lavieenrose.com. To find the store nearest you, visit the Boutique Locator section on our website. For balance inquiries visit one of our stores or visit gemx.ca. The card balance may be redeemed for merchandise at any La Vie en Rose and La Vie en Rose Aqua stores. This card will not be exchanged for cash. 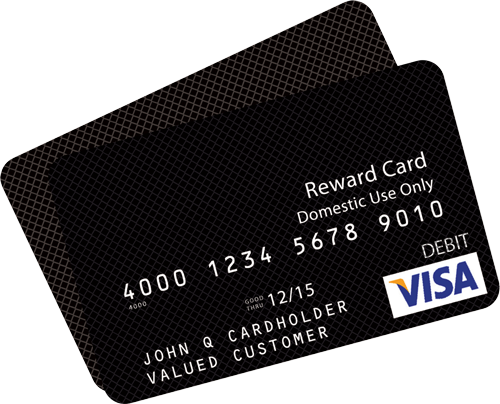 The value of this card will not be replaced if lost or stolen. Protect this card like cash. This card is activated at the time of purchase and can be used the same day at any stores operating under the banner La Vie en Rose.